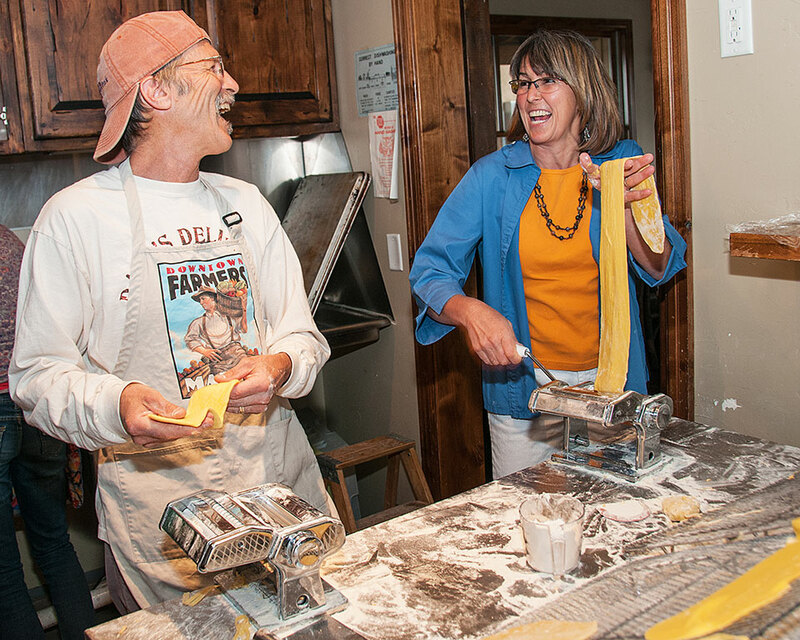 Everyone is welcome to volunteer for the Kids’ Pasta Project! Each week that a dinner is scheduled, a group of parents and kids are scheduled to prepare and serve dinner. Most of the members of the crew arrive to work after school and begin preparing the pasta and setting the tables. Generally, we find that kids who are seven and older have the maturity and skills to work on the project. On occasion, a younger sibling tags along with a parent volunteers and helps roll some pasta or greet some guests. KPP dinners are scheduled for fall, spring and summer seasons. A volunteer training orientation at the beginning of the season helps get everyone ready for their jobs. To volunteer for the KPP, please fill out a Volunteer Application and email us or call 970-250-6836. A pasta dinner is provided for the volunteers. When they sit down to dinner together before the guests arrive, they have the opportunity to hear about the community organizations being sponsored and others who have applied.